The Holden polo features a subtle western design with a 5-button placket. Clean contrast stitching found on the front and back. Iconic QED Style logo emblem located on back collar. The Holden Polo is perfect for the man who prefers the look and feel of cotton fabric. 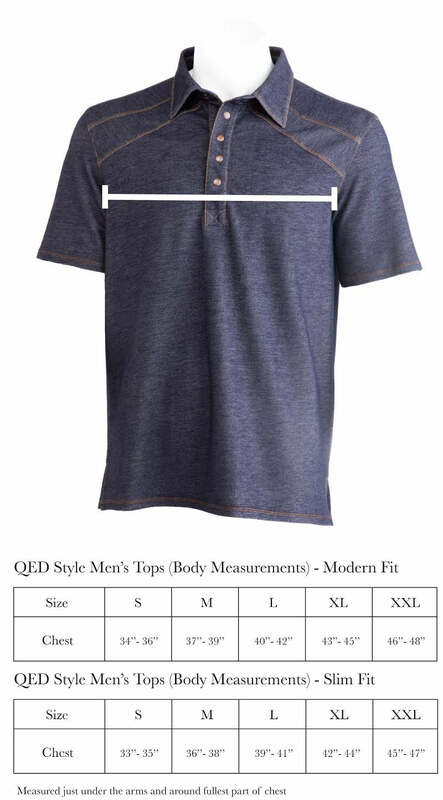 With a touch of spandex, the shirt has a noticeable stretch and moves well throughout the golf swing. Off the course, the Holden is a great choice to wear with a pair of jeans. The structured collar and contrast stitching give it a classic look that is sure to yield complements.